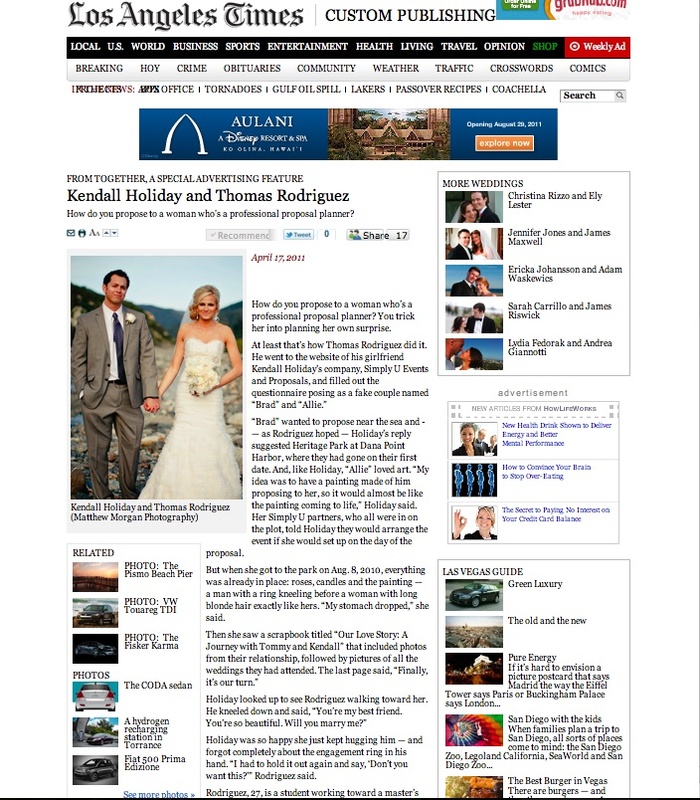 I’m super excited to send out a big thank you to the Los Angeles Times, and talented writer Maxine Nunes for sharing Kendall and Tommy’s engagement story. We are always honored when Simply U Events and Proposals work is displayed and excited for what the future holds for our beautiful couples! Anytime I re-read or browse photos from a couples proposal, it really brings joy to my day. Aren’t you just so in love with love? I am. You can read the full story from Sunday’s issue at LA Times.